Natalia Vianden has more than 17 years of experience in channel account management, developing strategic channel partners and designing and launching Channel Partner Programs for Extreme Networks. As Global Director of Channel Programs, she is leading the global partner programs and distribution programs team at Extreme Networks that recently launched a new unified global partner program for the Extreme Partner Network following the acquisitions of Zebra, Brocade and Avaya. In 2013, Vianden led the integration of the Extreme Networks and Enterasys Partner Programs, which was launched in July 2014. 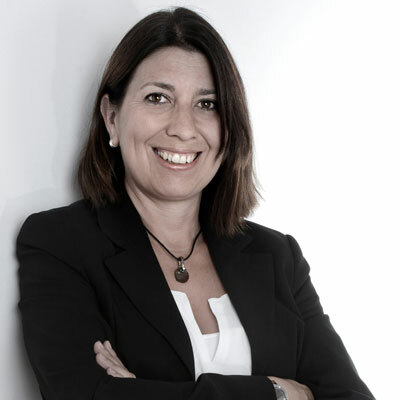 Prior to her experience leading global channel programs, Vianden took on the responsibility to develop one of Extreme Networks' strategic channel and alliance partners in EMEA in 2005 and was subsequently appointed to Channel Director of Northern, Central and Southeast Europe (NCSE) in 2011. In this role she held responsibility for indirect business as well as for partner & distribution acquisition and management. I have concentrated on building a smooth transition for new Extreme partners following the three major acquisitions. In October, we held our annual global partner summit where my team gathered feedback and listened to partners' needs to further develop a program that would work for them. With this feedback, we built a unified program that launched in January. The new program emphasizes profitability, cross-selling opportunities and differentiation. I also helped introduce Black Diamond, a new elite partner level reserved for our top partners. We will be investing in a lot of resources over the coming year to help them be successful. Moving forward, my focus will continue to be on enhancing partner profitability and satisfaction. We have a new capital financing service that we believe our partners and distributors will love, and I want to make sure partners know how their customers can truly benefit from it. Another focus area will be on delivering the right training programs to give partners stronger capabilities to cross sell and qualify for additional benefits. Later this spring, we will be producing partner advisory council events to ensure we are continuing to deliver what we promised and what our partners need. I admire Michelle Obama as a role model for self-made success, while being enormously open hearted, authentic and modest. She never seems to forget what truly counts in life despite all the influence and luxury that her position brought. Surround yourself with inspiring people and be confident in yourself. Discover what you want and think about what is important in your life. Be open to things you thought you could never do and never stop learning. Broaden your horizon and travel. IT because it is still a very a male dominated industry. I would also like to break down barriers to empower myself and inspire other women in the IT channel to be even more successful. Bernhard Schlink, Olga. It is a book about a tough and courageous woman, who never gives up. She finds the love of her life, but then loses that love again. It is a very touching story.